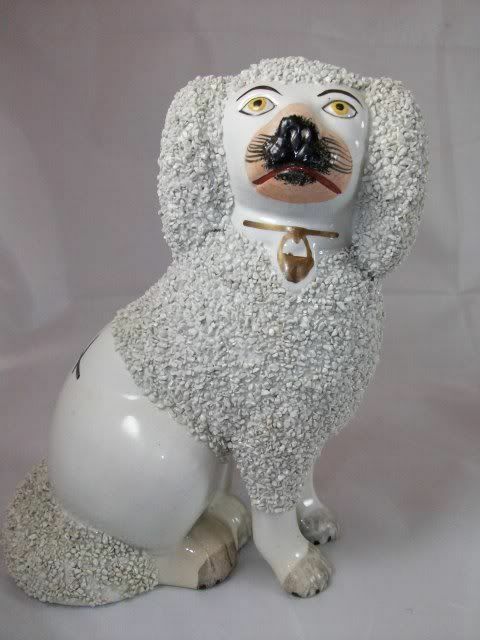 Antique Staffordshire poodle dog figurine. 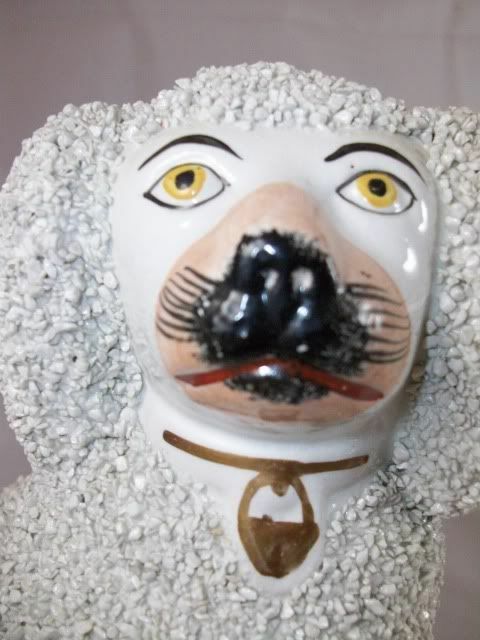 The pottery poodle measures 8.5" tall by 5.5" wide with a depth of 4". The dog is of the rare open front feet. The poodle is in excellent condition with all the bocage present. 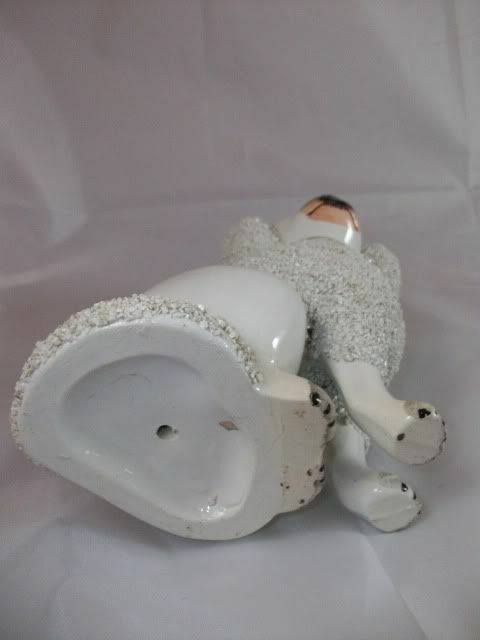 The pottery dog is legal antique dating circa 1880.